Sorry for such a delay in posting I hope y'all had a wonderful & safe Halloween, if you follow on my social media sites I'm sure that you are up to date with everything that has been going on etc, but just in case you missed it I did take a job as a stylist at this adorable boutique where I live. I am still a nanny, but just now part-time nannying.. (let me just say the littles I watch were SO CUTE on Halloween.. I couldn't deal, one went as Madeline & the other was a robot that her daddy made especially for her .. just precious!) Anyways back to my new job... I can't get enough of it and I love that I have this amazing opportunity to work as a stylist! Let's just say as quick as I earn it... I end up spending on the SUPER chic adorable boho, cute affordable clothes! 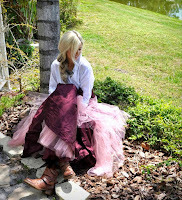 Today's post is featuring an adorable outfit from Malibu Fox and I cannot get enough. I think I have a new houndstooth obsession.. and it may be my new go to pattern this fall/winter! Houndstooth Pullover: Jack found at malibufoxshop! The Gypsy in Houndstooth: Exact here! I love houndstooth! Great outfit! I agree with the last two comments! You are adorable and so happy for your new endeavors. SO much love today! Thank you:)! Super cute!! Houndstooth is soo fall and I love it!! May have to pick up that gypsy turban, it would look adorable with a red lip!! You are too sweet, thank you I will def check out your blog! Thank you & thank you for stopping by!